“I’ve tried them all, I really have, and the only church that truly feeds the soul, day in, day out is the Church of Baseball.” -Susan Sarandon, Bull Durham, 1988. “Baseball is like church. Many attend, few understand.” –Leo Durocher, former MLB player and manager. Pastime n. an activity you enjoy doing during your free time; something that serves to make time pass agreeably. I love baseball. From as long as I remember, I always have. I likely always will. I presume many of you also either love baseball or at least appreciate it. 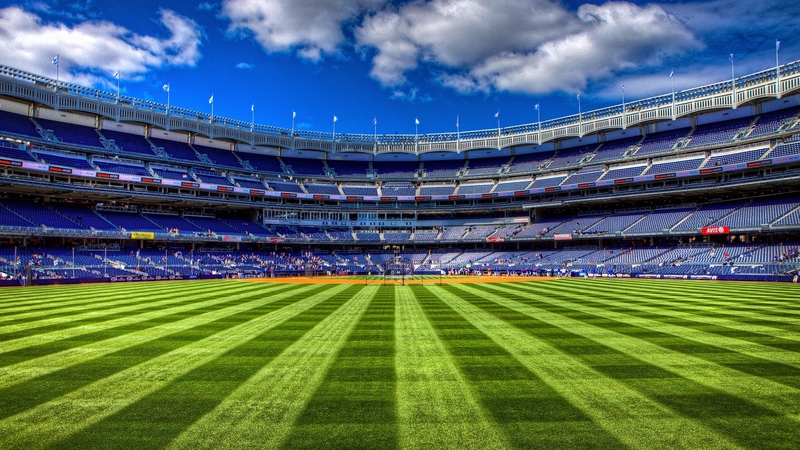 If you are not a believer of ‘the pastime’, maybe by reading this post you are seeking to at least understand why people you know love baseball as a pastime. As you see in the definition above, a pastime is a shortening of the phrase ‘pass the time’. It typically connects with something you enjoy doing to such a degree that you do not even notice the passage of time. It is in these experiences that we are able to foretaste eternity. For many, Church might be the farthest thing they would think of as a pastime. What follows is a reflection on how the Catholic Church lead by Christ and overseen by His ministers for the last twenty-plus centuries is greater than any pastime activity you can experience in life. My belief is that this may be discovered by looking at baseball, our national pastime. I believe baseball shares some essential characteristics with the Catholic Church and by appreciating them in baseball we may come to appreciate them in the Catholic Church. The video clip below from the movie Moneyball (2011) expresses why so many people love baseball as a pastime. It also reveals why coming to love the Catholic Church goes beyond mere arguments and reading. For pastimes must be experienced and shared. So, don’t just read this blog post but go out and experience the Catholic Church in a similar way you would experience baseball. I’ll be frank and up front. This is shameless evangelization. I will share my motive. This may surprise you, but my motive is NOT to convince you to love or like baseball. No one can really convince anyone of anything. I know because I and many others have tried and repeatedly failed to do so. Is it the fault of the game? No. Is it the fault of the messenger? No. Is it the fault of the one who is hearing the gospel of baseball? No. The fault is found not in argument, hearer or messenger. There is not even a reason to figure out a fault. What needs to be asked is how does one fall in love? When I was a young boy, my father did not have to ‘convince’ me to love baseball. He took me to a baseball game and I fell in love with it. But, you say, ‘I thought you were not trying to convince me to love baseball?’. You are right. What I intend to do is propose that people fall in love with Jesus and His Church the same way someone falls in love with baseball. Everything written from here on forward is a reflection on why my love for baseball lead me to fall in love with Jesus’ Catholic Church. How does one fall in love with the Catholic Church? Well, it is similar to how one falls in love with baseball. In trying to explain this to someone who is not Catholic is kind of like trying to explain the game of baseball to someone who has had no meaningful encounter with it. My hope in writing the following words is that it will encourage anyone reading who is not Catholic to consider how you come to love anything that is True, Good and Beautiful. You experience and encounter it. You take it in. You watch and listen. You participate. To love anyone or anything it always must move beyond theory and into the realm of experience. In writing what follows I hope to reflect on different aspects of the Catholic Church that at first glance would appear to be a barrier to a Christian who is not Catholic. I hope a discovery is made that the things that appear most objectionable are the things we realize are most essential for the Church to exist and flourish in the world. We may be able to arrive at this discovery by looking at these issues through the game of baseball. For it is true also in the game of baseball that there are things that need to be present in order for the game to be played and enjoyed. Baseball actually provides a beautiful correlation with the Catholic Church. For Christian readers who are not Catholic, I am trying to invite you to consider that what you think you object to regarding the Catholic Church is something you accept as true, good, and beautiful in other areas of life. In some instances you not only accept these things, you actually love them. And sometimes it is not till after falling in love with them that you realize how necessary they are to live life or play the game of baseball. The words ‘all authority’ echo exactly what Jesus says to the 12 right before he ascends to heaven. Jesus sent Paul and Paul sent Titus. Does this not at least look like a succession of authority that is being handed on from one generation to the next? In the protestant framework, the game is trying to be played without umpires. Without umpires, the game would devolve into endless arguments about different plays throughout the game. The Pope functions in the the role of head umpire. When a call is disputed by the umpires, it is the role of the head umpire to make a decision. For protestants, the call can never be made and the game remains in a constant state of disruption and contention. The umpire is there to make the call and then the game movies forward. 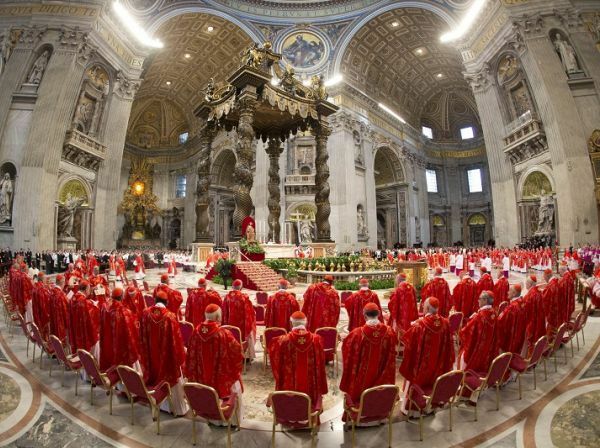 The Bishops of the Catholic Church, guided by the Holy Spirit are there to make calls when there are matters in dispute or when their is confusion about what Christians are called to believe. Jesus promised to be with His Church on earth until He returns. He also promised Peter that the gates of hell will never prevail over the Church. That is the main difference between a baseball umpire and the Catholic faith. Umpires can make a wrong call. For Catholics we believe based on the promises of Christ that he protects the Church’s teaching authority from ever making a ‘wrong call’ on matters of faith and morals. Today, the biggest group of people who identify themselves as Christians in the United States are either ex-Catholics or those who identify themselves as ‘non-denominational’. There are many factors why this is the case. But one big reason I believe is that people’s perceptions of the authority of the Church are shaped by the other areas of authority in their lives. So, as the role of parents in the family have been shaken and the structures of government become more corrupt, people naturally will connect their feelings toward these institutions with the institution of the Church. That is why Pope John Paul II said the family is a microcosm of the Church. If family life breaks down then children lose faith in not only their parents but then also in their priests. Catholics believe the Church is different in one critical way than all the other institutions in human society. They believe the Church is the Body of Christ guided by the Holy Spirit. Therefore, Jesus at all times and places is actively protecting and guiding the Catholic Church. No matter how sinful certain people are, Jesus is greater than one person’s sins. Individual humans in the Church can sin greatly but the Church is protected in its teaching and governing from error by Jesus through the Holy Spirit. As a Catholic, I can have faith that the Catholic Church does not change her teaching based on any societal or cultural trends. What is also assuring is that just as no team or single player can change the game of baseball, no single priest or bishop can change the Mass or any teaching of the Church. Whenever there is a teaching of the Church that is unsettled or not clearly or fully explained, the Catholic Church comes together in council and settles what is in dispute. For protestants who claim the Bible is their only authority, what this really can only mean is that their interpretation of the Bible is their only authority. Or their pastor’s interpretation of the Bible. For the Bible does not interpret itself. In fact the Bible does not even tell us which books are a part of the Bible. These were matters that the Bishops of the Catholic Church settled in council together. This is what is assuring about Catholic faith and teaching. It is open and public. The Church does not leave you uncertain about what all Christians everywhere are called to believe. For evangelical Christians their beliefs are often left vague or undefined. Since so many divisions have occurred between them, evangelicals have chosen to believe less and less of the faith. This is why, for example, the largest protestant group in the United States, the Southern Baptists have seen a significant drop in water baptisms among those who attend. They have moved farther and farther away from their own beliefs since other protestants do not share their view of baptism. For Catholics, teaching on baptism or any other matter of faith does not change. Anyone who enters the Catholic Church is baptized in water and the Holy Spirit and the belief on baptism is the same throughout the whole world. 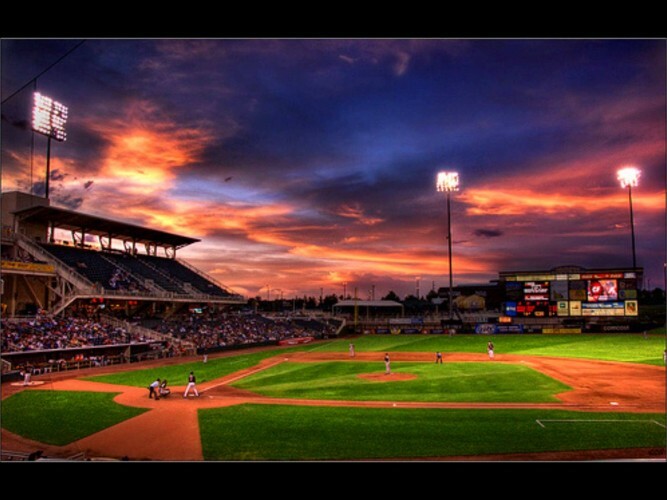 The Church doesn’t change from place to place in the same way that baseball doesn’t change from ballpark to ballpark. That is one reason I believe baseball has endured as a favorite american sport. It presents to the world consistency and order in a world filled with disorder and chaos. The National anthem, the 7th inning stretch, peanuts and cracker jacks, hot dogs and a song everyone sings together. To name just a few traditions that are a part of the baseball experience. When you attend these games these traditions are a part of what makes baseball, baseball. They are intrinsic to the game’s identity. If you went to a ballpark and one of these things was not occurring you’d begin to wonder whether you were at a baseball game. There are hard written rules of the game and then their are the unwritten traditions that have been passed down over the past hundred years of the game’s existence. 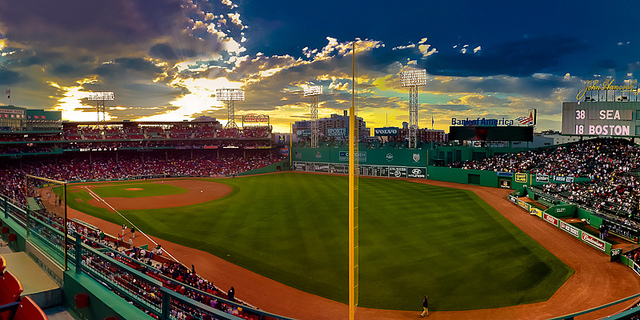 For some even the place where your city team plays becomes a deep tradition such as Fenway Park or Wrigley Field. Baseball has its traditions and most of them go back to the earliest days of the game. This naturally brings us to the Catholic Church and its belief in Sacred Tradition. Sacred Tradition are the practices and beliefs that the Church has held and handed on throughout all of its history. They are not things that the Church capriciously or unnaturally added to the faith. These things organically came from reflection on the Sacred Scriptures. The Scriptures in the Catholic Church are the only revelation of God’s Word that we have in writing. The other form of the Word of God is the person of Jesus Christ. An example of a Sacred Tradition is the Trinity. The Scriptures do not explicitly use the word ‘trinity’, but as the Church reflected on the Scriptures it decided together that it is right and true to speak of God in this way. So belief in the Trinity is a Sacred Tradition that we find implicitly, but not explicitly in Scripture. It is today now a binding belief on all Christians everywhere to confess that God is a Trinity of one God and three persons: Father, Son, and Holy Spirit. This means you cannot be a Catholic Christian and reject the Trinity. Evangelicals often can go this far in agreeing with Catholics. But, then other Catholic Sacred Tradition is questioned and it is sometimes suggested that Catholics have added mere ‘human traditions’ to the Christian faith. 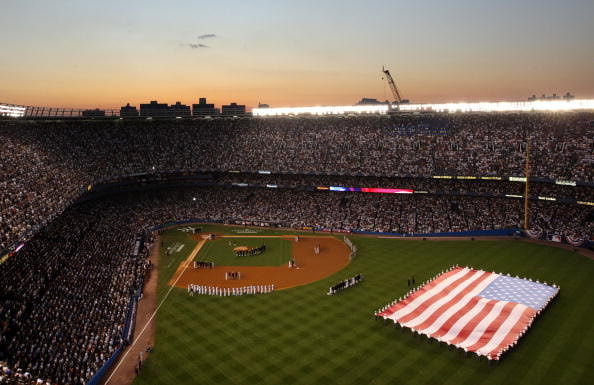 Returning to baseball, it is similar to someone who says that they can accept the tradition of the National Anthem at the start of the game but cannot accept singing the song “Take me out to the ballgame!” during the 7th inning stretch because it came about a little later on. The Church in its centuries and in its wisdom does not naively accept all things because they have been around a long time. The belief that Jesus was not God has been around a long time as well. The Arians in the early centuries of the Church believed this and the Catholics rejected it. Today the Arians’ beliefs are still around but their groups now have different names; such as Mormons and Jehovah’s Witness’. The question is then who decides on what is part of the Sacred Tradition and what is just a ‘human tradition’ or heretical teaching. There are only two choices on this question. It is either that the Catholic Church’s bishops throughout every century is guarded from guiding the Church into false teaching or it is an individual Christian alone with his Bible to decide what is a part of legitimate Christian tradition. Early on the first reformers such as Luther said that he would obey the Bishops and the Pope as long as what they taught agrees with the Bible. But what he really was saying was that he’ll obey as long as they agree with Luther’s interpretation of the Bible. Luther presumed a couple things falsely. One, that the Bible interprets itself and that the Catholics don’t know the Scriptures. While there were sadly many Catholics at the time that didn’t know the Scripture, the Bishops did know the Scripture. And Catholics by and large had a reasonable knowledge of Scripture. Contrary to what is portrayed in a lot of slanted history books (often written by protestants), there were not these large ignorant masses that were ignorant of Christian teaching and faith. Ironically, with the Bible more readily available than at anytime in history, it can be accurately said that there are more Christians today (both Catholic and evangelical) that are ignorant of what Christians believe than at the time of the reformation. What should give us a clue that Luther was not the unbiased and saintly figure is in the many pejorative comments he made about Bishops and the Pope later in life when they didn’t agree with everything he was teaching. Also, when he found books of the Bible that didn’t cohere with what he was teaching he decided to moves these books to the back of his German translation as part of the appendix (he classified them as the Apocrypha) and questioned whether they belonged as part of the Scriptures. When you really start to examine the progression of these events, Luther does not come across as very saintly. Fans are spectators. 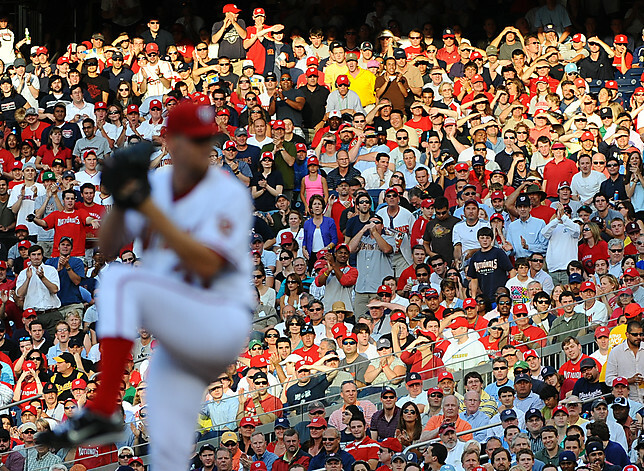 Baseball players will often speak very highly of the people who come to the ballpark day after day to cheer on the team. These are the loyal fans that stick with the team through thick and thin. Players will often reflect on how much an impact the home team fans had on the outcome of the game. In reality, fans have a minimal impact on the outcome of the game. Their cheering may cause the other team to struggle to stay focused, but the crowd noise is experienced by the home team as well. The money paid to attend the game impacts the game in that it makes it possible to pay the player salaries. (though marketing and advertising is of greater influence today). Fans, in some cases, can interfere with the game, as when a fan reaches over an outfield wall and turns an out into a home run. But, for the most part, a fan’s main impact on the game is the amount of noise they can generate when they cheer for the home team or ‘boo!’ at the visitors. I am not saying this cheering has no impact on the players; I am just saying it is not as great of an impact as the commercials and players claim it has. But, we want to have a part. Our instinct is that we want to be involved in the outcome that occurs on the field. This is a good baseball instinct. It is also a good instinct when you consider the Church. For evangelicals, the concept of the Church is mainly focused on the Christians living on earth. In baseball, we would say that these would be the players currently playing the game on the field. 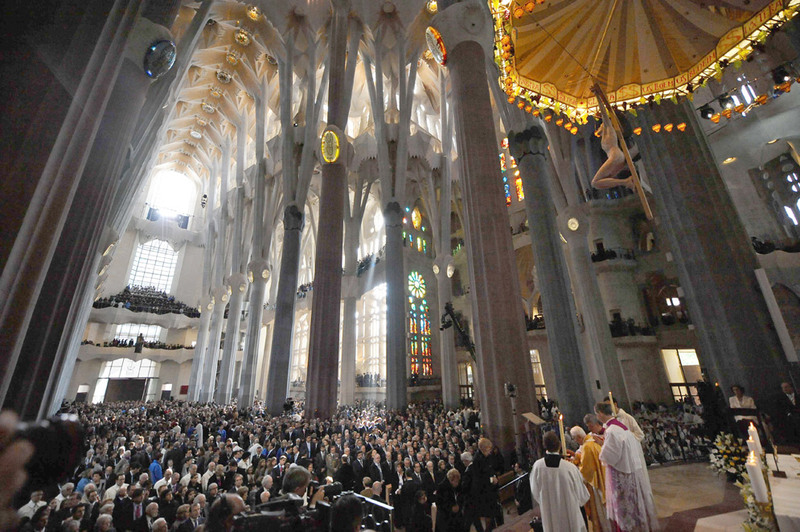 For Catholics, this view of the Church is too small. Way too small. For if you think of the last 20 centuries, there are more Christians gathered in heaven with Christ than there are here presently on earth. Evangelicals think it is odd that Catholics ask Christians in heaven to pray for them. They presume that the only Christians praying in the Church are here on earth. The Catholics have better good news to share. The news is that Jesus promises eternal life for all who know and follow Him. And this life does not end at death. On the contrary, we can confidently say that those in heaven with Christ are not less alive, but more alive then us. For, they are no longer weighed down by sin and suffering. Many evangelicals will try and point to a passage in the first letter to Timothy (click preceding text to read passage) where Paul declares that Christ is the only mediator between God and man. Catholics have no problem with this passage. Catholics believe that Christ is the only mediator of our salvation. Evangelicals wrongly assume that this passage is referring to the life of prayer. Paul does bring up prayer earlier in the same letter to Timothy, but it is not to say that no one can intercede in prayer, but instead he asks all Christians everywhere to pray. God desires for us to have an active life in the Church, whether we are on earth or in heaven. Catholics believe in an active Church on earth and in heaven. It’s a big Church where Jesus delights in having his children being a part of serving in it. 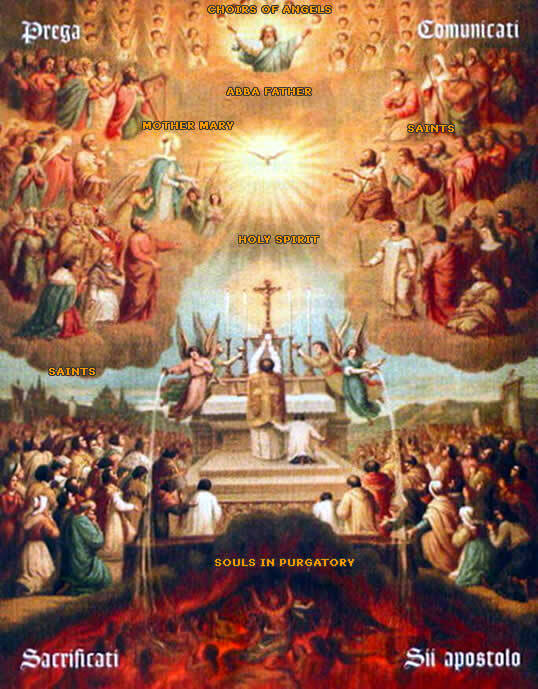 The Church in heaven and on earth. There are two Scriptures that point to this unity between the Church of heaven and earth. The first is found in book of Hebrews which speaks of a great cloud of witnesses. While fans at a baseball game are spectators, this points to the greater reality that members of Christ’s Church in heaven and on earth are called witnesses. Christian witnesses are not passive. They are active in their faith, hope and love. In heaven, Christians have their faith and hope realized but they continue to love forever just as Jesus loves us always. That is why they don’t stop praying for us and that is why we can ask those in heaven to pray for us. Protestants wrongly equate all prayer with worship. Some prayer can be worship but prayer more generally is a form of communication. Just as you can communicate your prayer concerns to Christians on earth, the Church has always believed that Christians in heaven can also receive our requests of intercession. Both requests to those on earth and to those in heaven do not diminish the only one who can answer our prayers, which is God. Tie game. Runner on third base. Two outs. Bottom of the ninth. The batter up hits a single into right field. The runner on third races toward home plate to score the winning run. The outfielder fields the ball and throws to the catcher at home plate. The base runner slides under the tag of the catcher’s glove and the umpire waves his hands out like airplane wings and shouts, “Safe!” The fans cheer wildly. Game over. Mets win. This exciting game-winning scenario during the game of baseball requires everything that we have so far discussed; the rules, the League, the players, the fans. 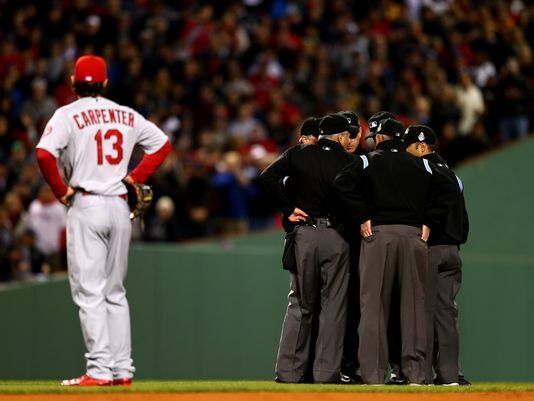 But, it hinges on one thing: the call of the umpire. The call of safe brings about the scoring of the runner and in this case, the winning of the game. If the runner is called out, the inning is over and the game continues into extra innings. This brings us to our final connection that I’d like to make with the Catholic faith: the Sacraments. The Sacraments tie in with the authority of Christ and in turn the authority he gave to His first priests, the apostles. When Jesus walked about the earth, teaching and doing wonders, everything was based on Him being the Word made flesh. Jesus is the Word of God and when he says something, it is or becomes the reality. When he says to Lazarus, “Arise!” he goes from being dead to being alive. When he says to the cripple walk, he can walk. This is essentially how the Sacraments ‘work’. When the priest says over regular bread and wine “This is my Body!” and “This is my Blood!”, on the authority of Christ, so it becomes His Body and Blood. When a priest or Bishop baptizes a person in the name of the Father, Son, and Holy Spirit the person is really born again and their new life with Christ begins. Now, they can choose by their free will to reject this gift and turn away from Jesus. But it does not diminish in any way the reality of what happens in Baptism. There is the reality of what actually happens in the Sacraments that is independent of our perceptions and feelings. The full extent of the grace we receive in the Sacraments is dependent on our openness to them. But the fact that Christ’s grace is being offered through the Sacrament is a reality not dependent on our subjective experience, choices, or feelings. For evangelicals this belief is not held. (though the first protestants and some denominations still teach a belief in the Sacraments). Most evangelicals will associate these actions as only symbols of what Jesus did in the past. For Catholics, Jesus becomes present in these actions of the priest and His grace is truly encountered when a Catholic freely chooses to participate in them. In the Eucharist, the Sacrifice of the Cross is made present at every Mass offered throughout the world at all times. 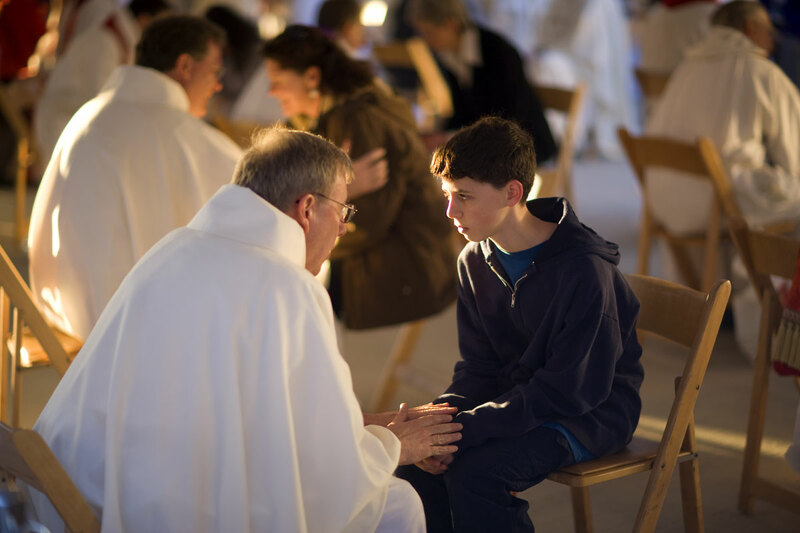 In Confession, your sins are forgiven by Christ, through the priest that is present with you and you are reconciled with God and the Church (Christ’s Body). In Marriage, two distinct people become One flesh through the Sacrament and no human can make two what God has made One. (that’s why divorce is impossible). 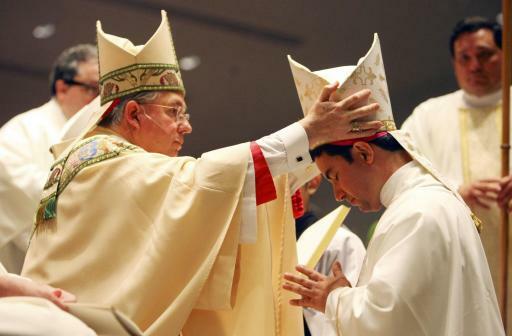 In Holy Orders, Jesus shares his ministerial priesthood through the laying on of hands of an ordained Bishop with a Christian male who is already a part of the general priesthood of all Christians. Just as in baseball and the call of the umpire, Jesus brings about a reality through the words and actions of one of His ministers. I am sure there are other comparisons we can make between the game of baseball and the Catholic Church. But, I wanted to highlight some which I felt were some of the biggest hurdles for Christians who are not Catholic. The only things that pass the time in life are the things that we love. That’s a pastime. The Catholic Church is where the grace and love of Christ are most deeply, richly, and profoundly encountered. It’s a loving participation in the life of Christ that does more than just pass the time. The Catholic life fashions us into a people ready for eternity. St. Augustine, one of my favorite saints, said in reference to the Eucharist, “We become what we receive.” Jesus is forever with the Father and is forever in communion within the blessed Holy Trinity. This is what Jesus wants for us too. As the apostle John promises, that one day, we will become like him as he is. (1 John 3:2) We become Easter people throughout our journey of faith here on earth. This abundant life of Christ is most fully lived as a Catholic Christian. I don’t just know it and believe it; I love it. More than baseball. More than anything. The Catholic life is the greatest of all pastimes. Just as a friend would invite you to a baseball game so you can begin to ‘take it all in’, so too I wanted to conclude with a reminder about the challenge I began this post with. I asked you how you have formed your opinion of the Catholic Church and asked if you have done anything beyond reading and hearing the popular opinions of our day. Just like baseball, you need to go beyond reading an article here and there. Or taking a bird’s eye or drive by view of the Catholic Church. To understand why people love baseball you get to know the fans, you go to a bunch of games at different ballparks and you begin to learn about what it’s all about. You fall in love with the game. You fall in love with the Catholic Church. So, come out to the ballgame and go witness the Catholic faith. It may become beyond a pastime. Please contact me or comment if you’d like to know how to experience the Catholic Christian faith. For Dad. A fellow suffering Mets fan. 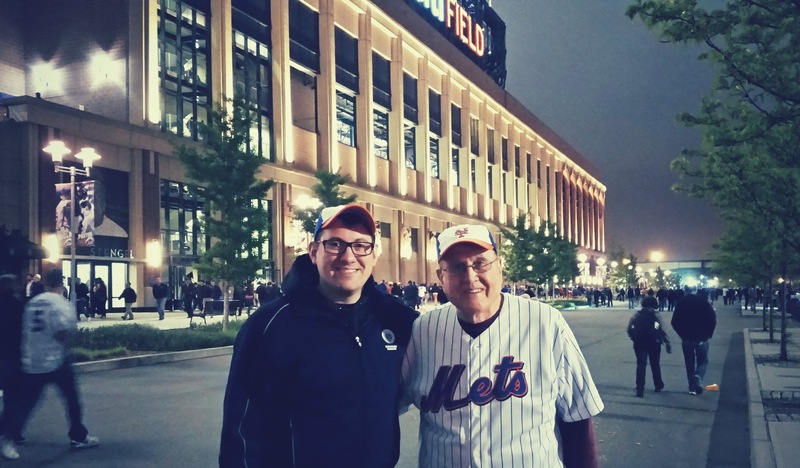 Dad and I after watching the Mets lose to the Yankees. Nice blog Michael! Thanks for the post as well. Some great analogies there. Previous“What happened?” A Question for Easter Witnesses and Year One Seminarians.